Find an vaste collection of alternator products Yanmar Marine, Caterpillar Marine, Perkins, Mercruiser, Volvo Penta, OMC, Hitachi, Mando, Denso, Delco, and more.Call 514-963-6959 Fast shipping from Canada 1 year warranty on all Inboard Outboard Alternators and Starter. Located in Canada, Topmarine is a company specialized in the sale of products such as alternators for pleasure boats. The mission of the company is above all to make safety on board a boat more adequate. 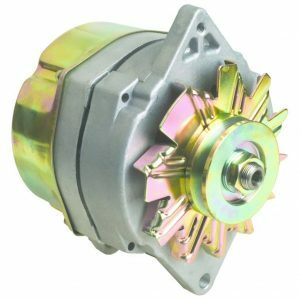 Where to find alternators at the best price? In Topmarine Boats Parts Online Store! With low prices, all our alternators are tested to guarantee you to put your boat back in water and enjoy your ride safely. Topmarine Expert in the sale of products such as Inboard outboard starters . All Marine Starter Alternators are SAEJ1171 Coast Guard Safety Approved Marine Starter (Spark Arrested). Our marine alternators and marine starters are fully load-tested to ensure they meet our high standard for durability, reliability and performance under extreme conditions. Our Alternators guarantees to meet your exact needs.